Capital expenditure on plant, tools and equipment for the first eight months of GAP Group’s trading year has surged to £58m, representing an increase of £12.1m (circa 26%) when compared to the corresponding period last year. Ken Stewart, Head of Procurement at GAP explained: “All our eight divisions are showing a healthy increase in capital expenditure as we continue to benefit from increased utilisation levels. 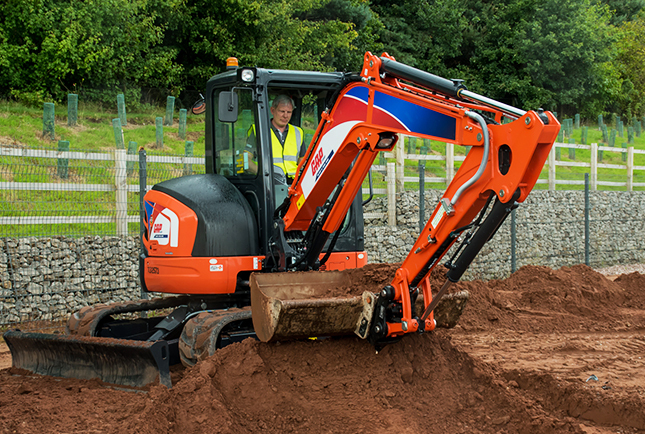 Investment in unmanned plant this trading year has resulted in excess of 900 excavators and 400 dumpers being purchased to date”. GAP Group is the UK’s largest independent equipment hirer. In the last decade GAP has implemented an expansion and growth strategy geared towards diversification to drive the business forward nationally. The addition of new divisions and product lines has required the subsequent growth of its depot network, which has more than doubled in the last seven years. GAP now has 142 depots nationwide. “Continuity of supply has been maintained throughout the year with no delivery issues being experienced”, Stewart continued. “By investing heavily, we are able to continually reduce the age profile of our fleet, allowing our valued customers to take delivery of high-specification equipment which conforms to the latest legislation. Our Tools and relatively young non-Plant divisions have also benefited from this substantial investment with some excellent financial performances being recorded. Investment in our extensive fleet of commercial vehicles and our national depot network is excluded from the aforementioned £58m”. The group which will celebrate its golden anniversary in 2019 is on target to break through the £200m turnover barrier this financial year. Stewart concluded: “We`re fortunate to have a relatively flat management structure. Provided we meet key financial and operational criteria, our Board of Directors have been extremely supportive when authorising capital expenditure. “Not only are we looking forward to the remaining four months of our trading year but already we`re planning ahead for 2019/2020”.